Great single story in the popular Willow Creek Estates East area. Many upgrades including Vivint security system, new HVAC, new dishwasher, Nest thermostat, keyless front door, RV pad, whole house fan, crown molding in all bedrooms, garage storage cabinets, storage shed and much more. (see attached list for all upgrades). Newly terraced front yard for water conservation. NO MELLO ROOS, HOA or POWER LINES! Be sure to check out the large lot and walk-in closets in the master bedroom. Granite counters and recessed lighting in kitchen. Come take a look, it is move-in ready with a sparkling refurbished pool waiting for you to enjoy this summer. 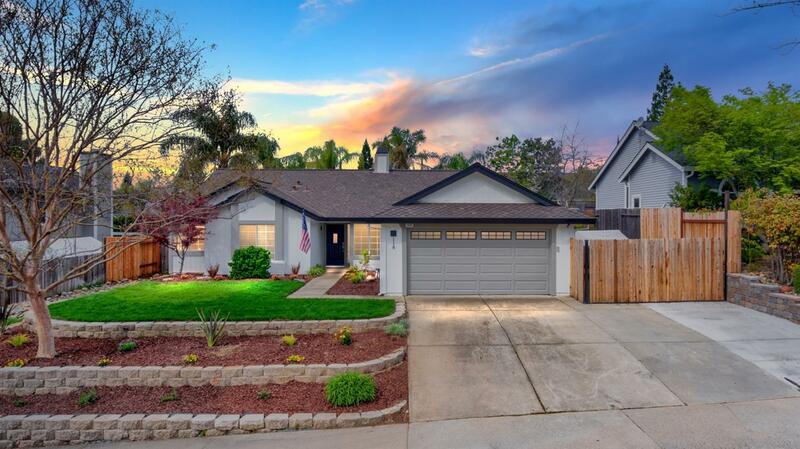 Convenient shopping, restaurants, entertainment, walking/biking trails and Folsom Lake for boating. Highly rated school district. They sold my house in a week and found my dream home in a great neighborhood I didn't even know existed! Highly recommend! Cindy L.